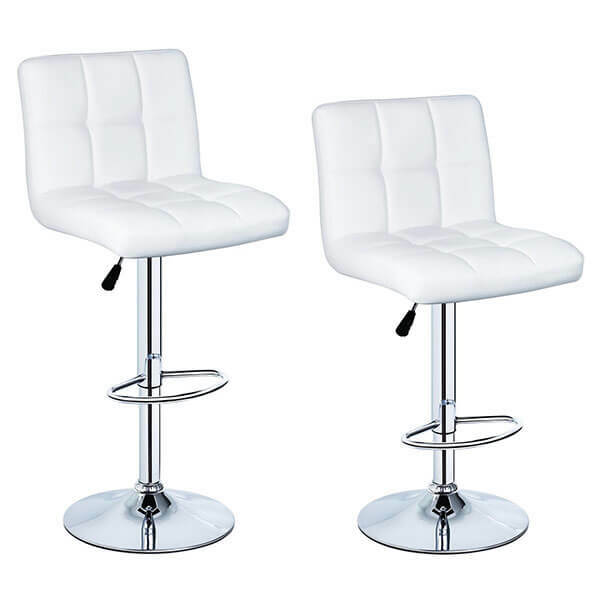 The white hue and button tufting of the Adjustable Height White Leather Bar Stools (Set of 2) will offer your bar or entertaining area a modern look. The stools measure 17 inches in width by 15 inches in depth by 35 to 45 inches in height and are covered in white faux leather. Simple and sleek, the Joveco Adjustable Backless Swivel Airlift Stool makes it easy to add seating into small bar areas. 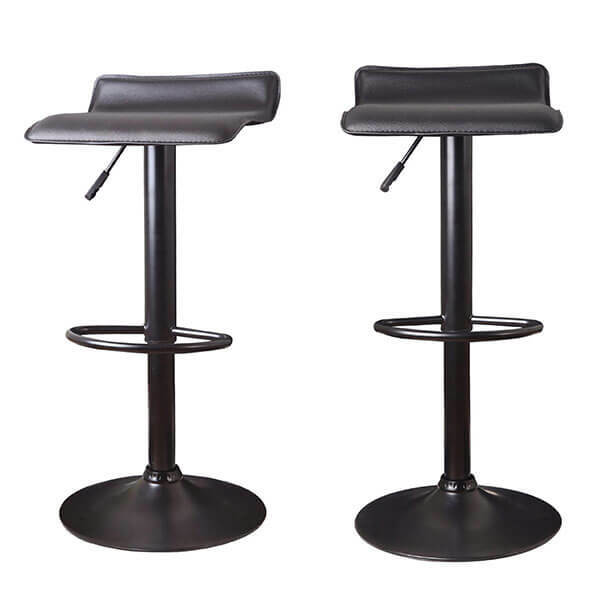 These stools are covered in faux leather and feature slight padding for your comfort. The seats sit atop a 15.2-inch diameter pedestal base and measure 15 inches by 15 inches. With their black color and tufted design, the Leopard Outdoor Products Square Leather Bar Stools (Set of 2) can add modern appeal to your bar area. 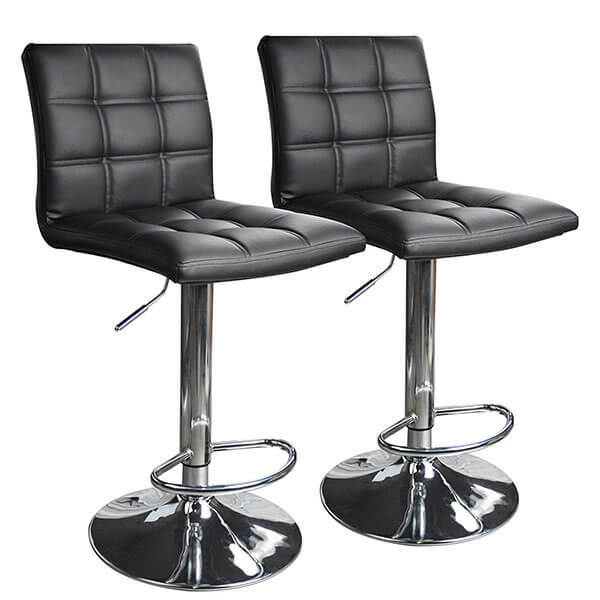 These stools come upholstered in a black faux leather and are padded with high-density foam for your comfort and style. 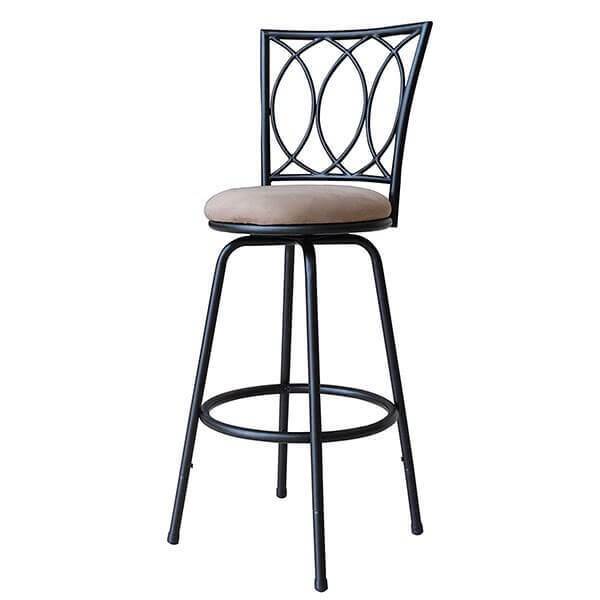 A classic stool, the Winsome Wood 29-Inch Saddle Seat Bar Stool provides comfortable seating for any bar area, regardless of the decor. 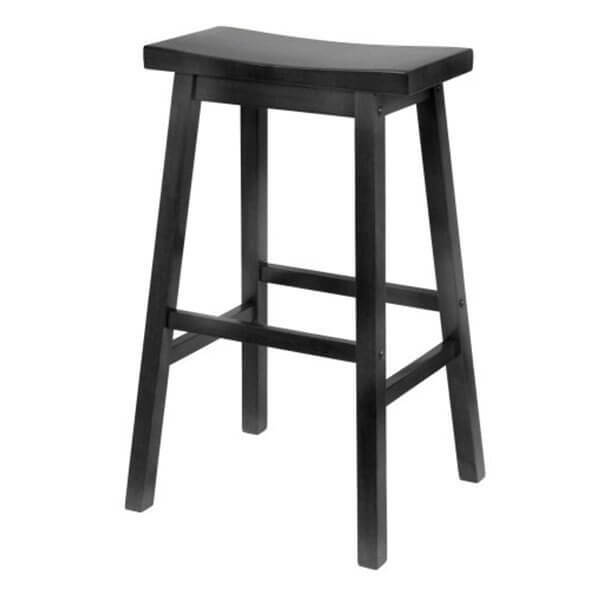 The stool is made of solid beechwood that has been given a matte black finish. It has a wide, contoured seat that sits upon stable legs. 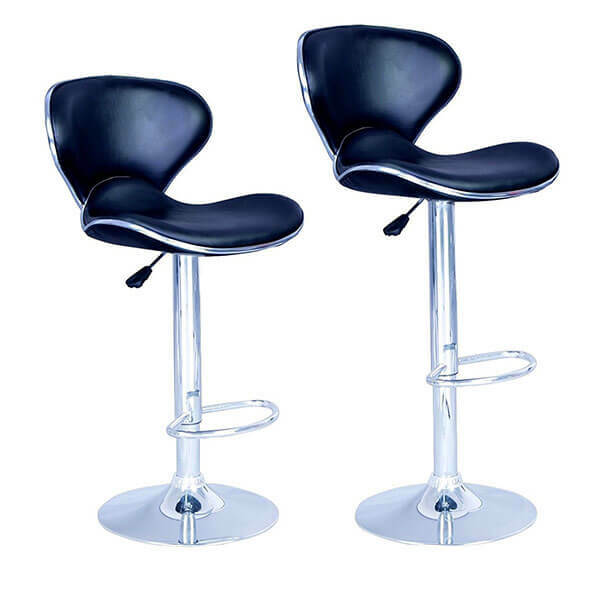 Add a retro vibe to your bar area with the BestOffice Adjustable Synthetic Leather Swivel Bar Stools (Set of 2). These stools are upholstered in sleek, synthetic leather and offer a contoured seat and back. The chairs swivel all 360 degrees around and feature pneumatic height adjustment. Classic and traditional, the Roundhill Furniture Redico Adjustable Metal Bar Stool is a comfortable, cushioned bar stool with an ornate back. The height of the seat can be set at 24 inches or at 29 inches with the added 4-inch leg extensions. The versatile stool in finished in a powder-coated antique black.